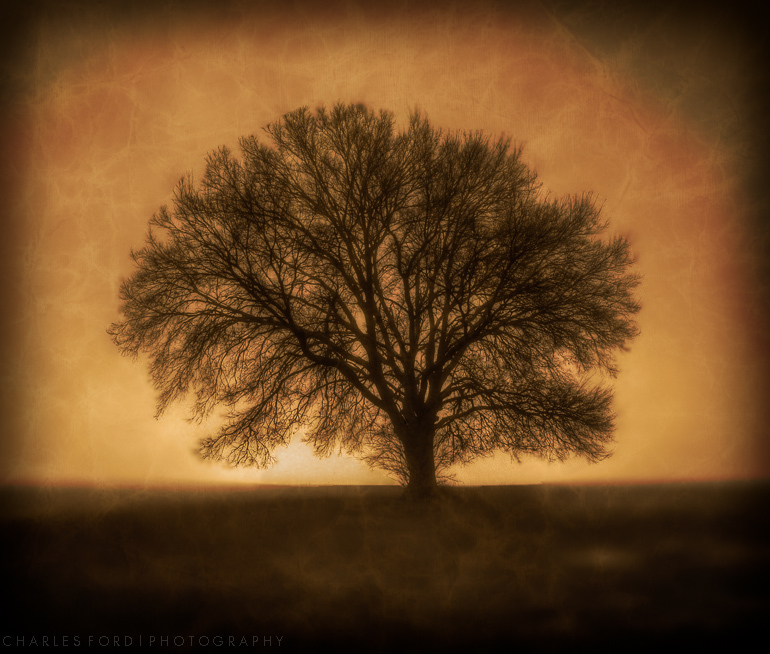 I ran across this older image by accident when looking for something else. I always meant to do something with it but never did. 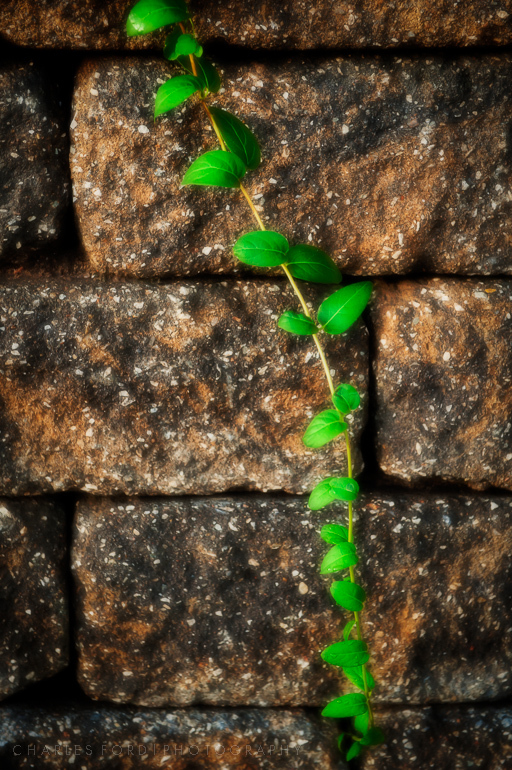 A nice green vine against a stone wall…just the sort of mundane thing to catch the eye of a passing photographer type individual. 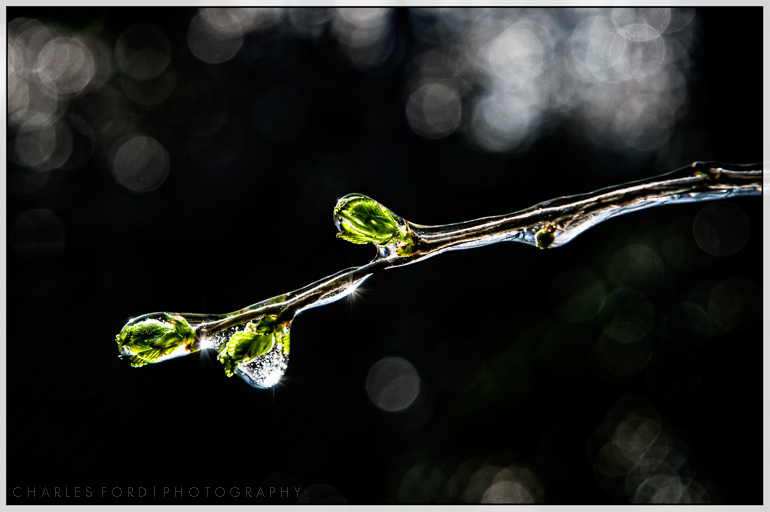 Two more ice images to finish off the group. 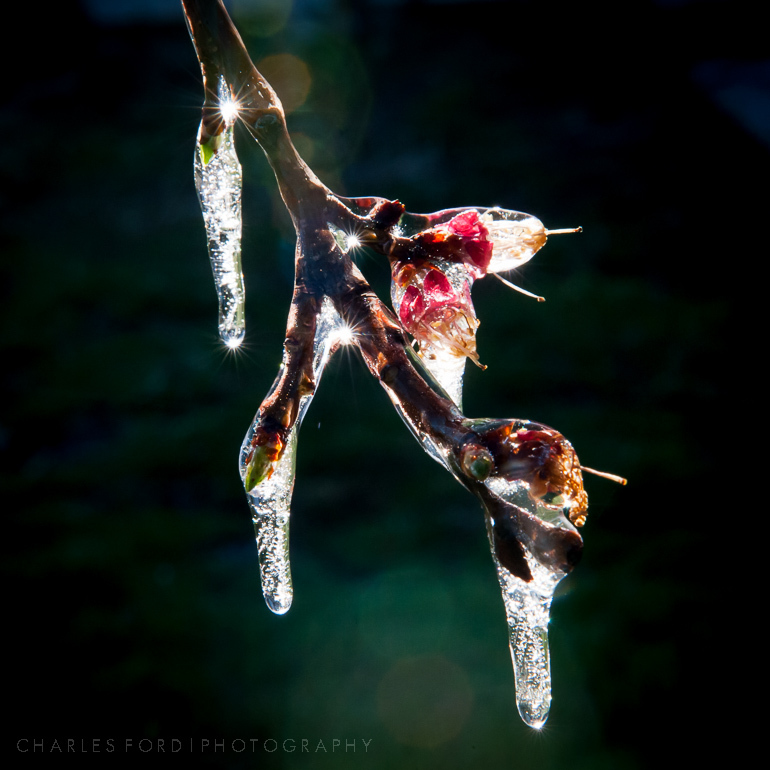 I’m hoping this ice storm business is through for the year, but it did provide some good subject matter. 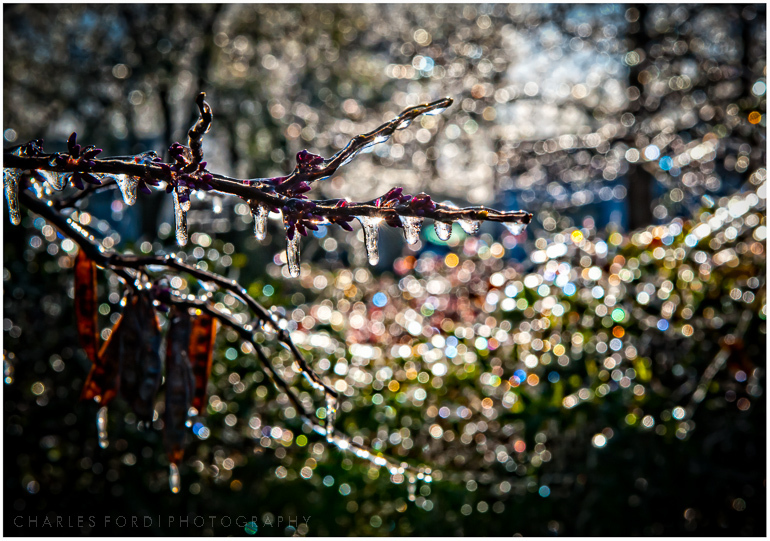 Another image from last weeks ice storm in Wichita. I’m no scientist, and I don’t play one of TV. However, I believe the multicolored points of light we see in this image were caused by the ice crystals acting as tiny prisms. They split the sunlight into it’s component colors, the variation in colors due to the different alignments of the ice in relation to the sun and camera. Some parts of this image may have been…enhanced a little during post production but nothing has been added that wasn’t already there. It was quite a spectacle, until the sun melted the ice later in the day. Shallow depth of field strikes again! We had an ice event this week here in Wichita. Trees and power lines were encased in ice, causing the trees to make an unnerving crackling sound in the slightest breeze. The first day it was overcast and my photographs were disappointing. I thought maybe things would be more promising in the direct sunlight, and this morning that proved correct. I came in with several promising images, the first of which you see here. I must say that I had to relearn how incredibly shallow the depth of field is when shooting things this close, even with smaller apertures. 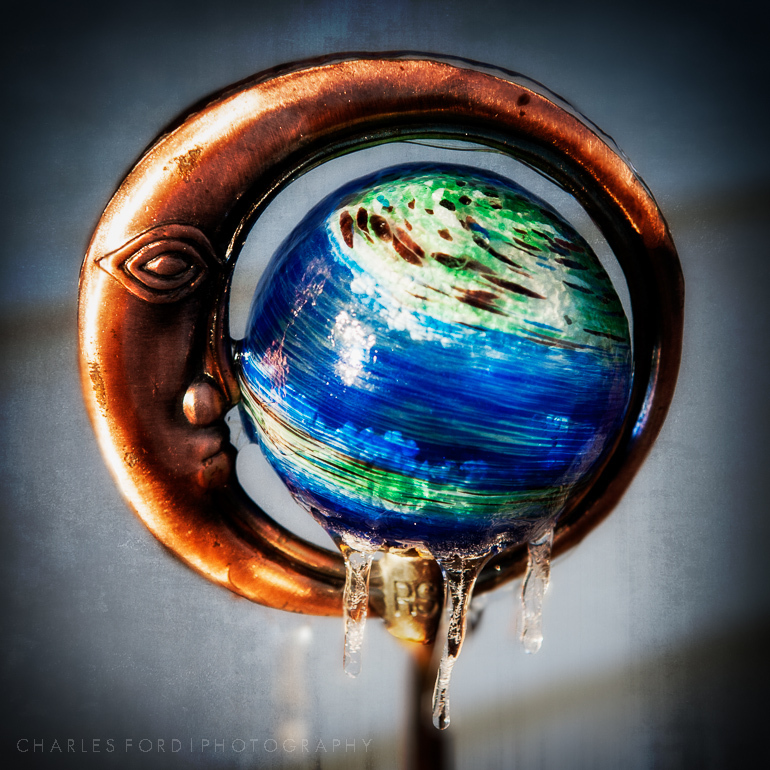 Anyhow, I’m going to post ice photos as long as I can think of bad puns for the post title. Already rejected for this post are: “Ice Knowing Ya”, and “Ice-aroni, the San Francisco treat”. 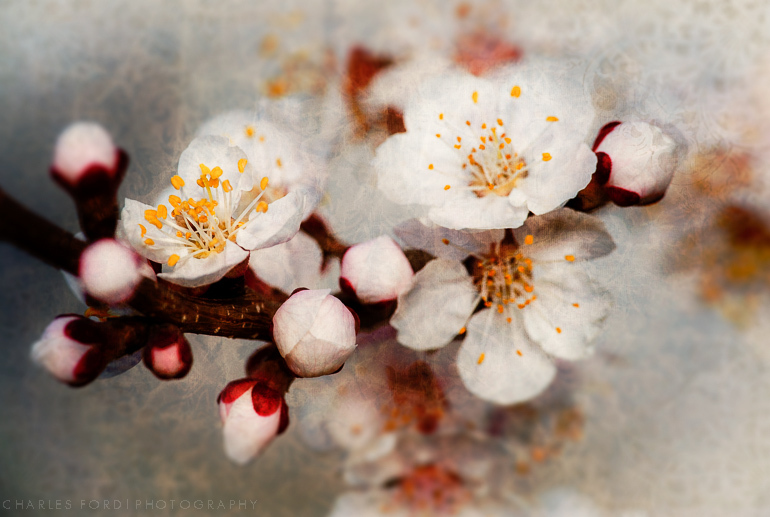 A heavily edited/processed/altered/massaged/insert-verb-here image of some tree blossoms in my back yard. Mega-massaging courtesy of Perfect Photo Suite 7. At some point I will have hopefully worked this out of my system and go back to less manipulated material. I feel like I did back in the 1990’s with Corel Photo Paint when I learned I could disort peoples bodies and put antlers on their heads. The possibilities of this software are mind boggling!